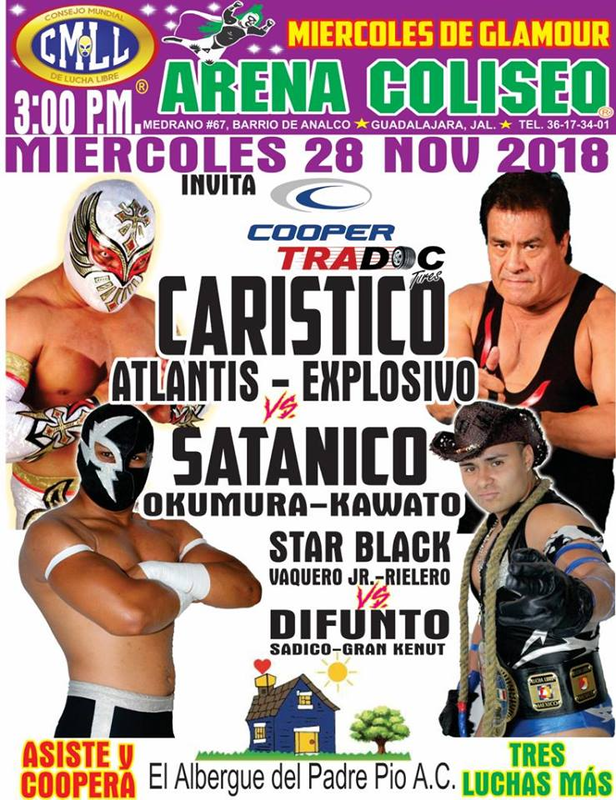 tecnicos took 2/3. 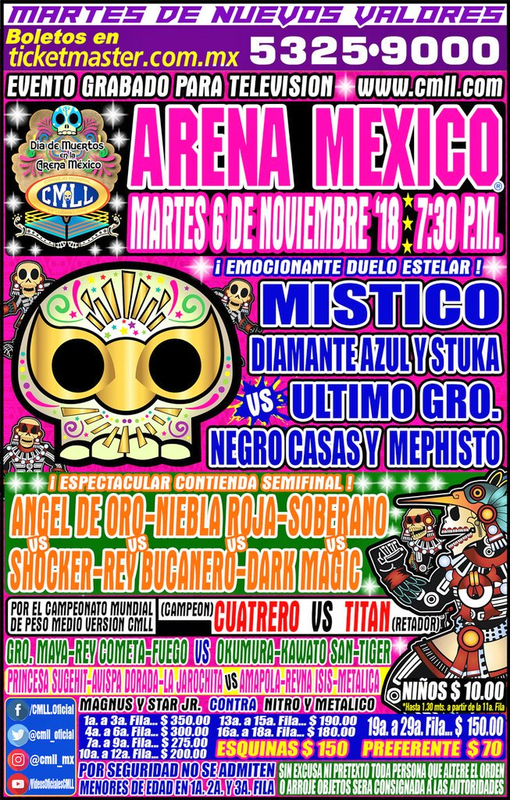 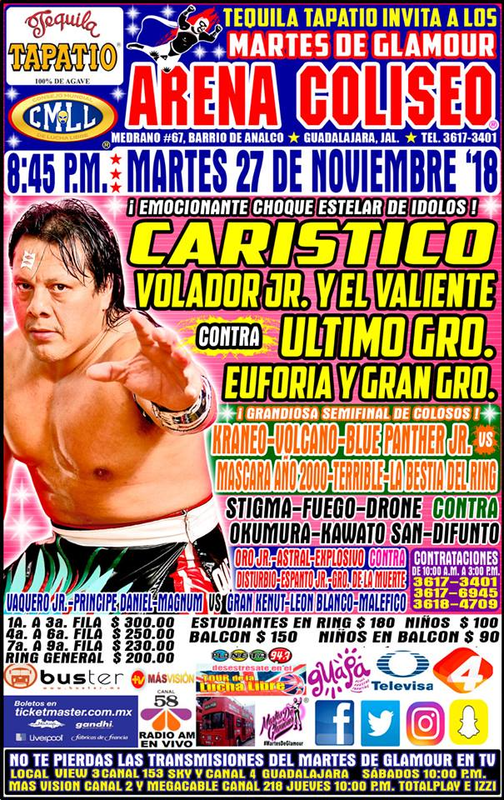 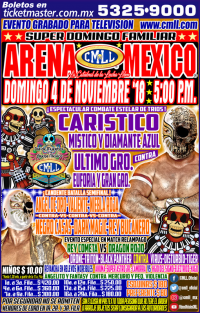 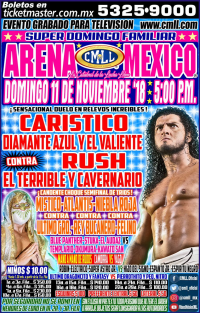 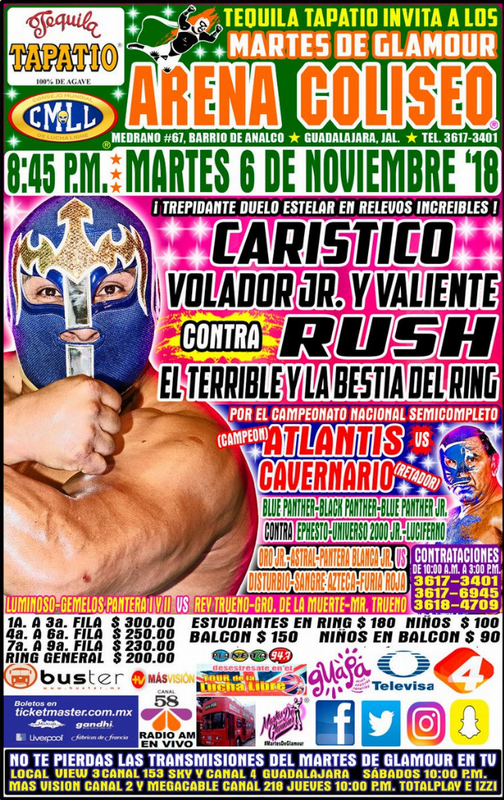 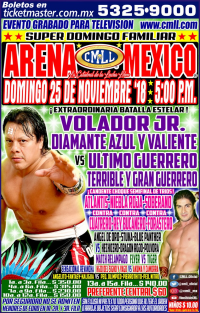 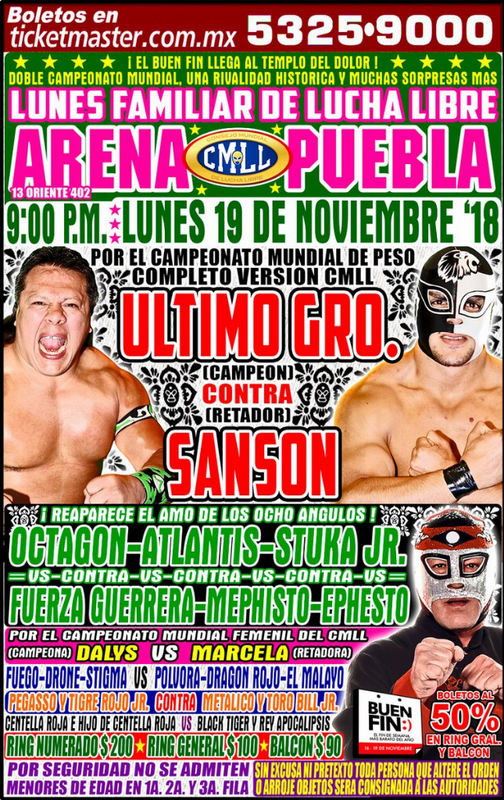 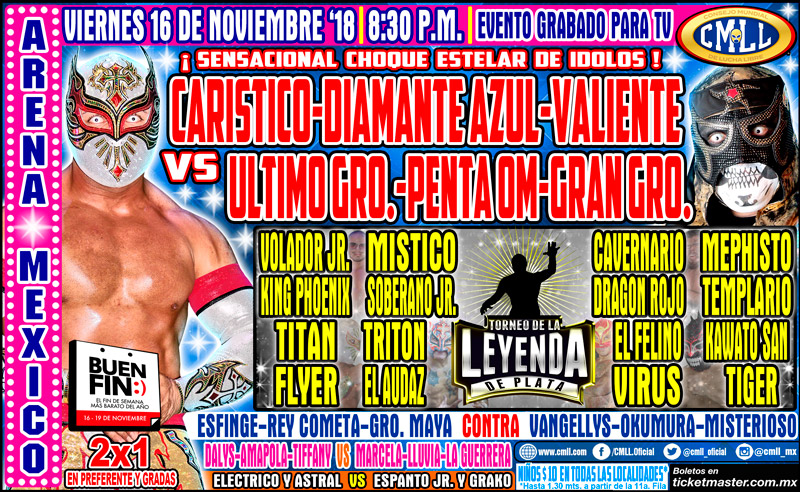 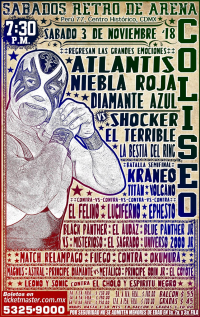 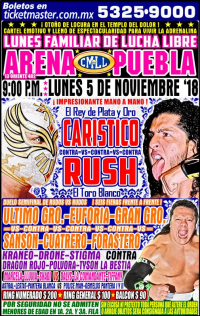 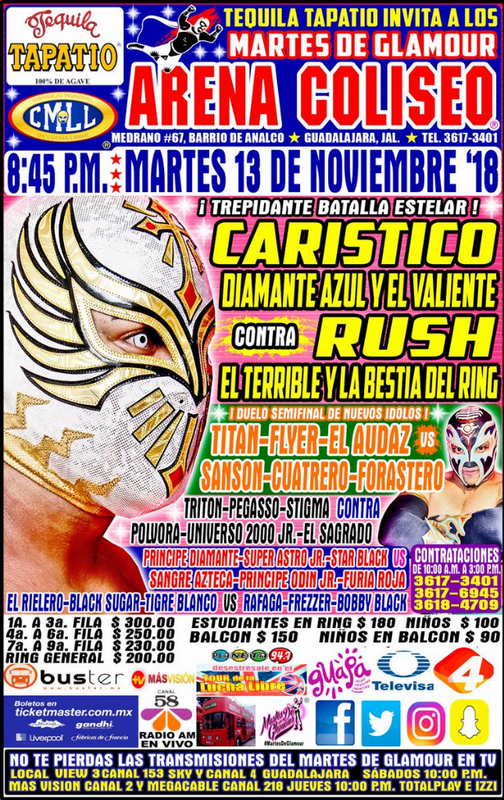 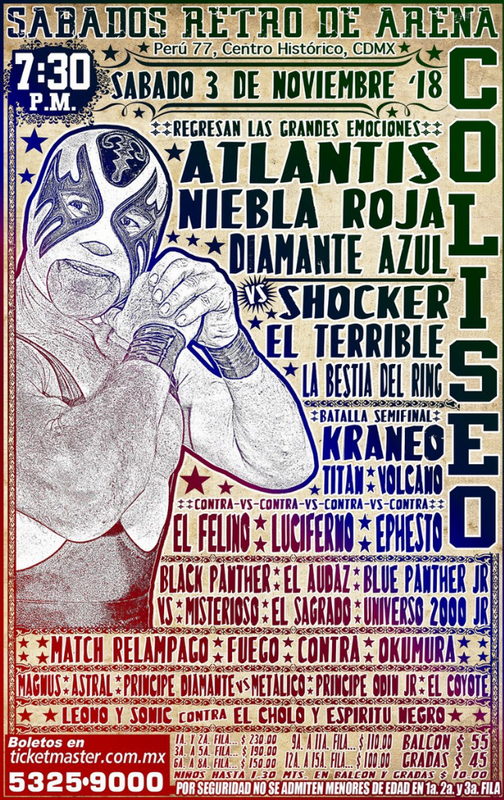 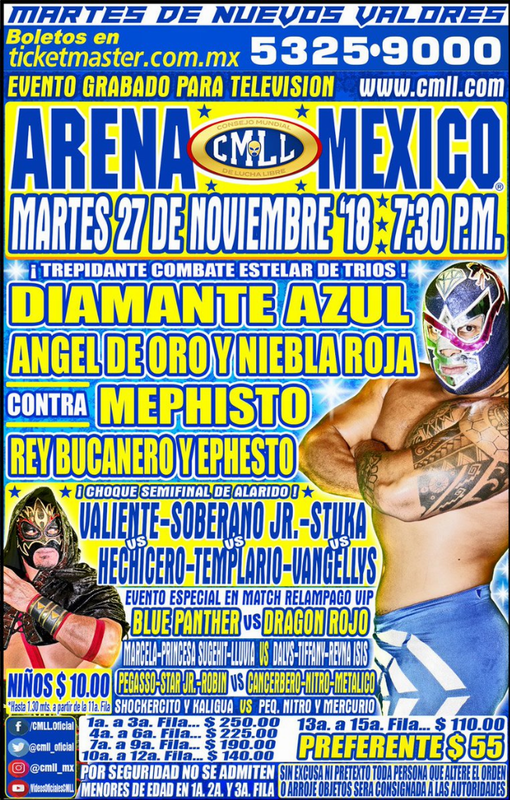 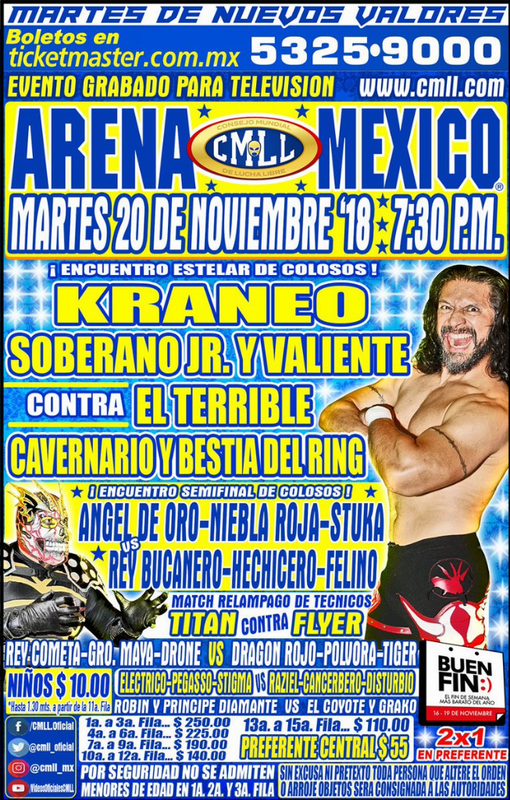 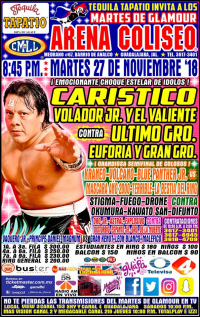 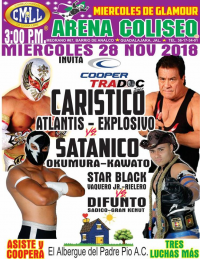 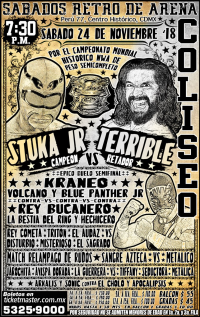 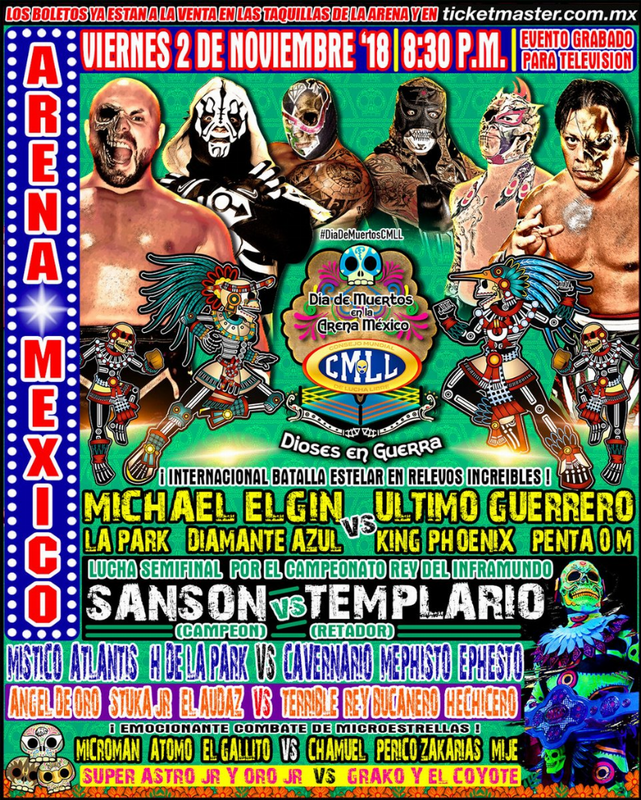 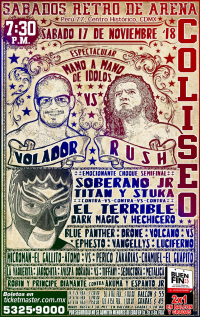 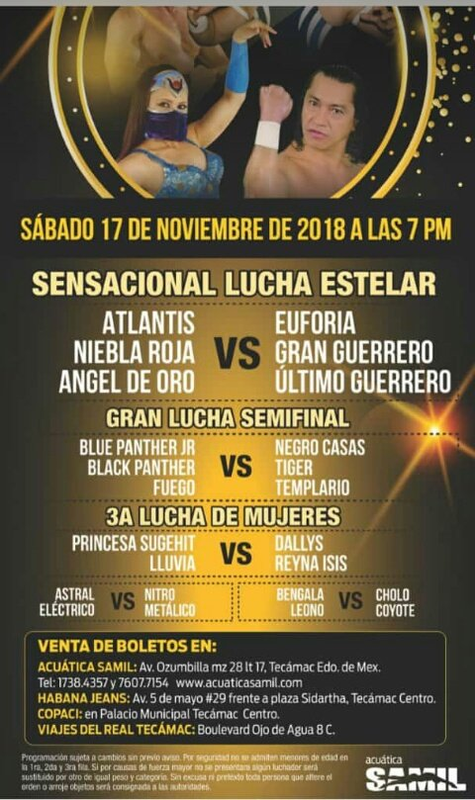 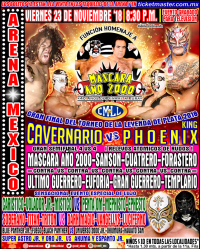 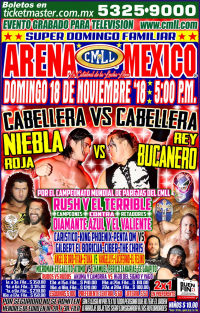 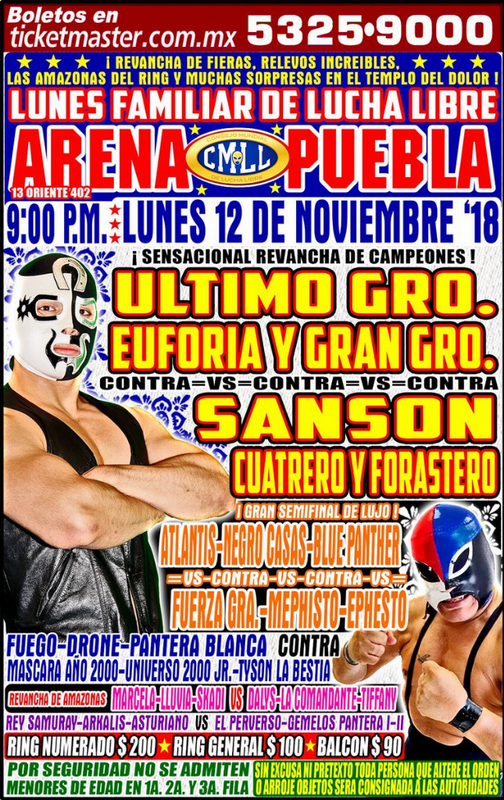 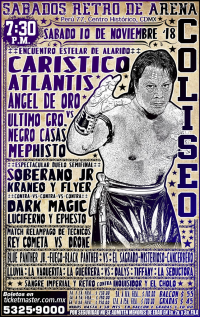 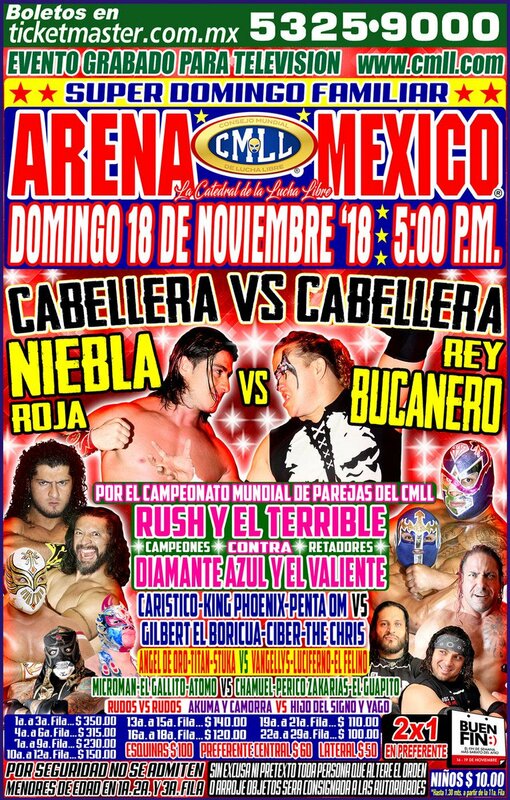 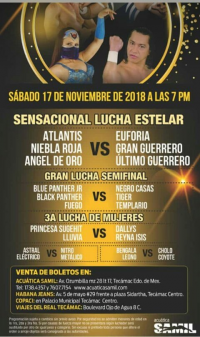 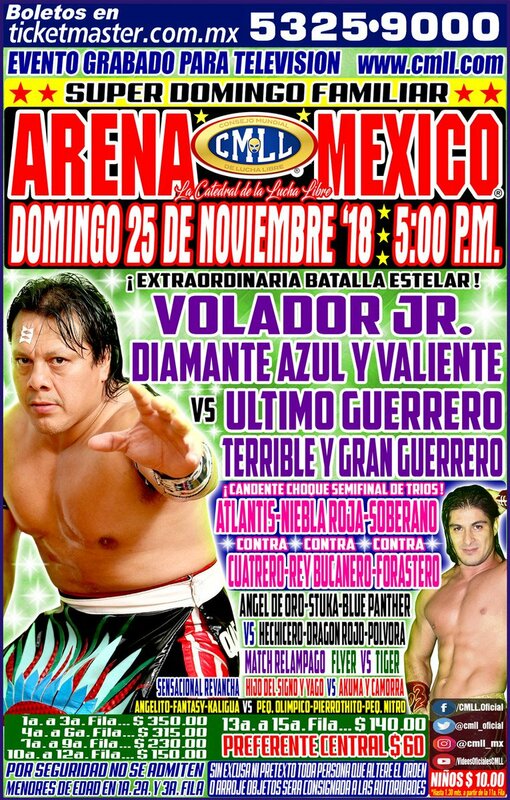 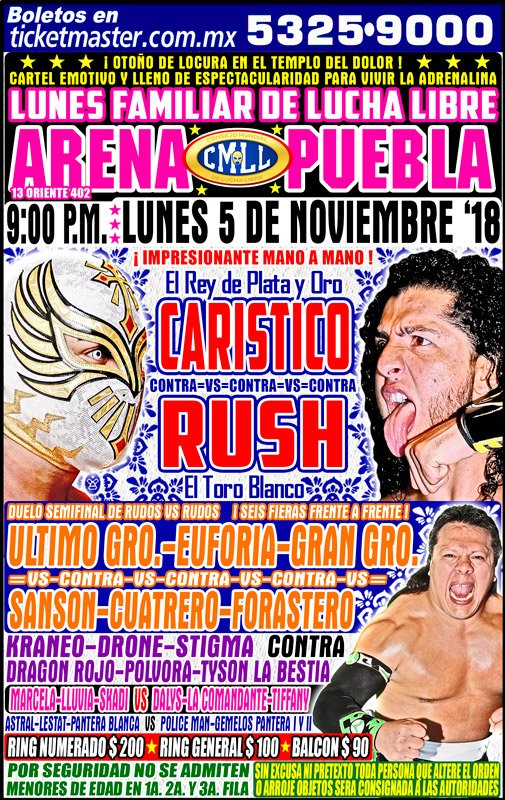 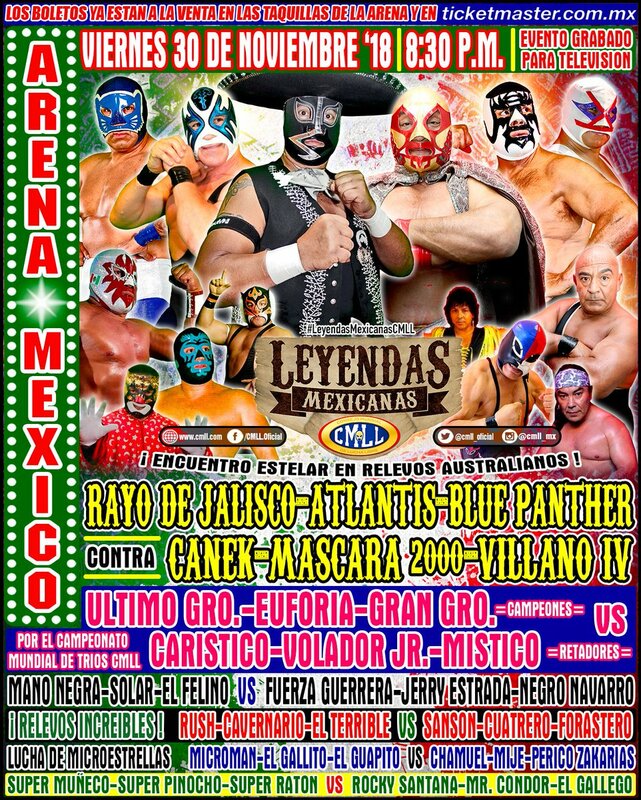 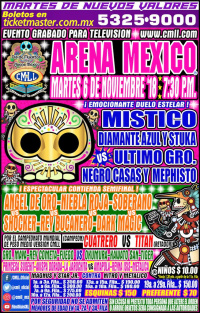 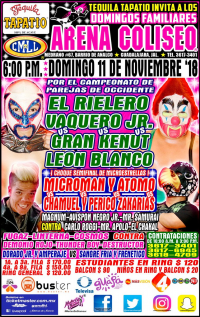 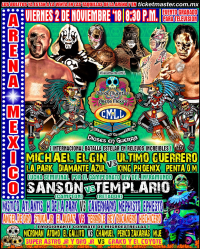 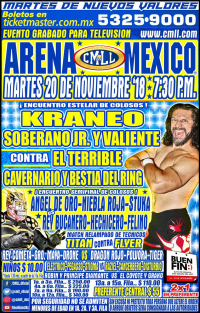 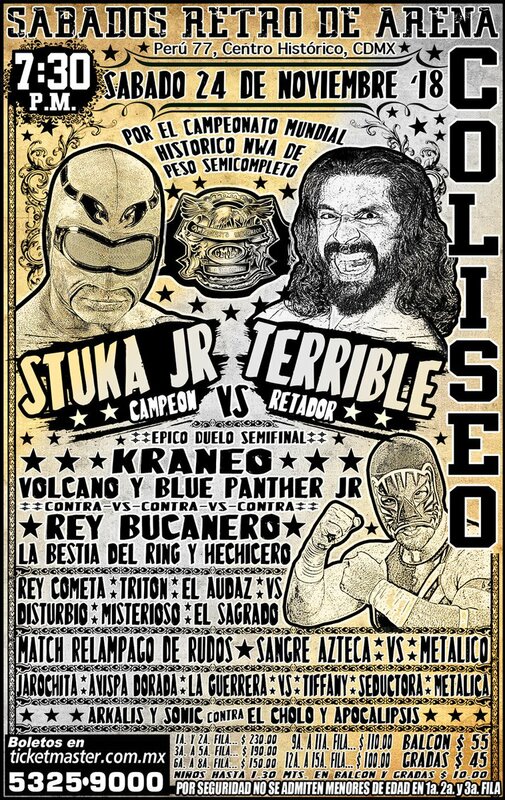 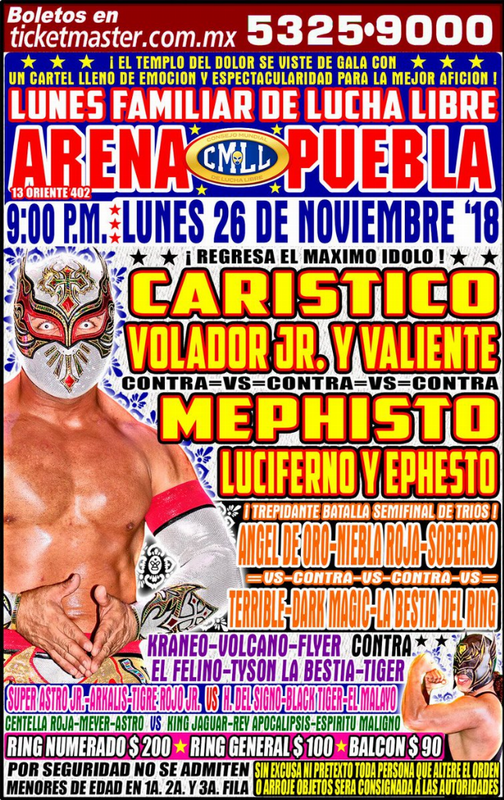 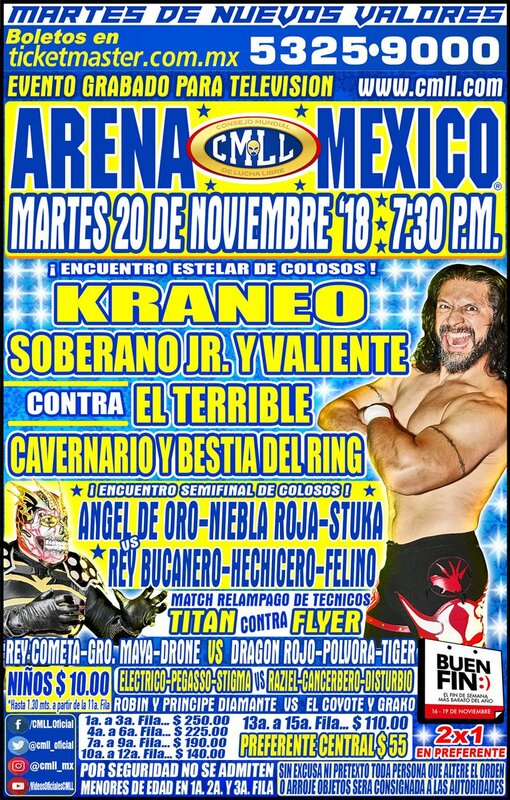 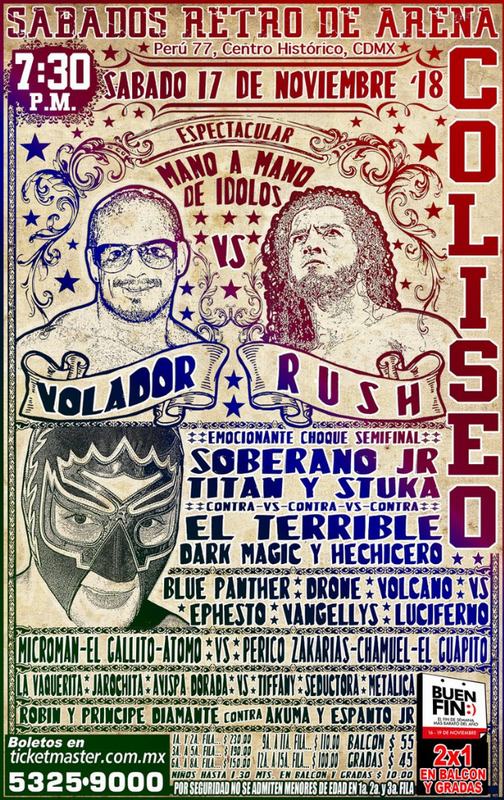 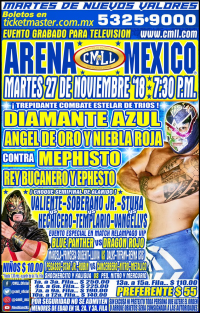 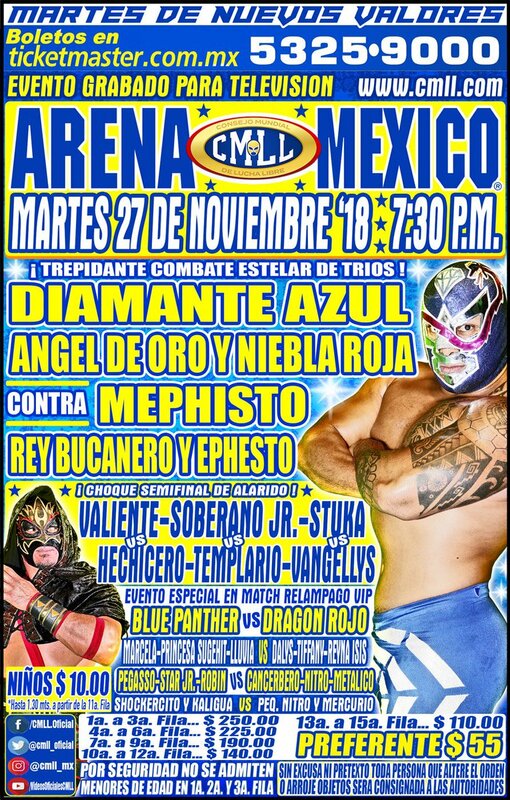 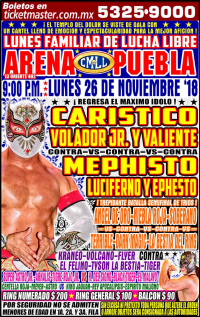 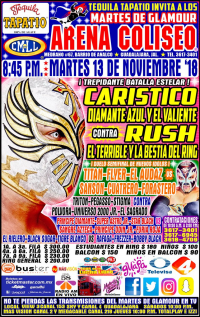 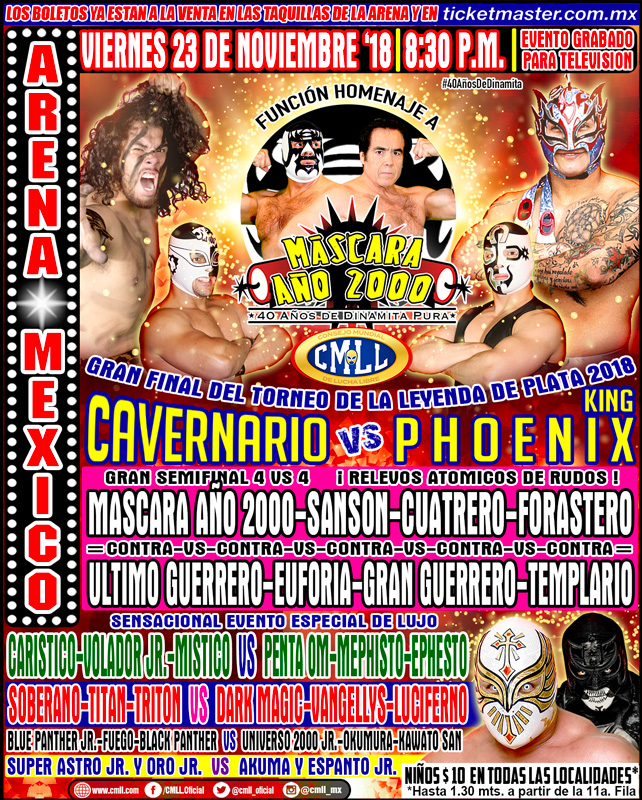 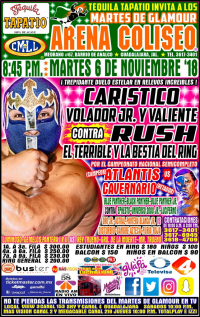 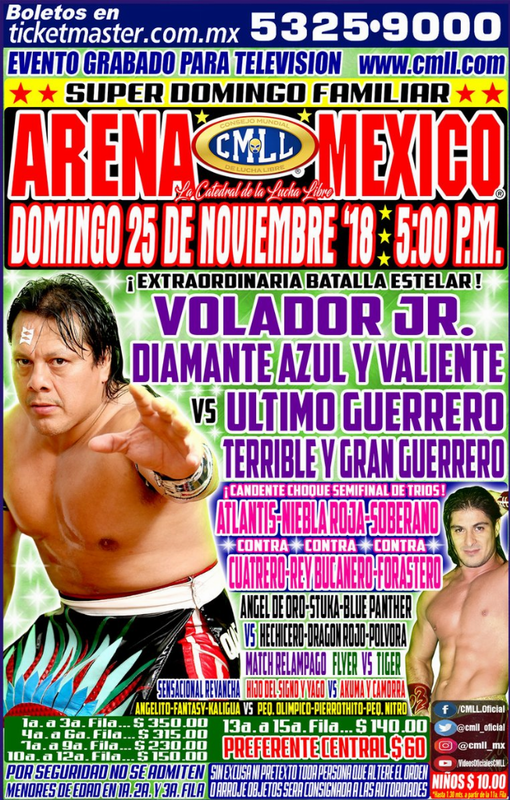 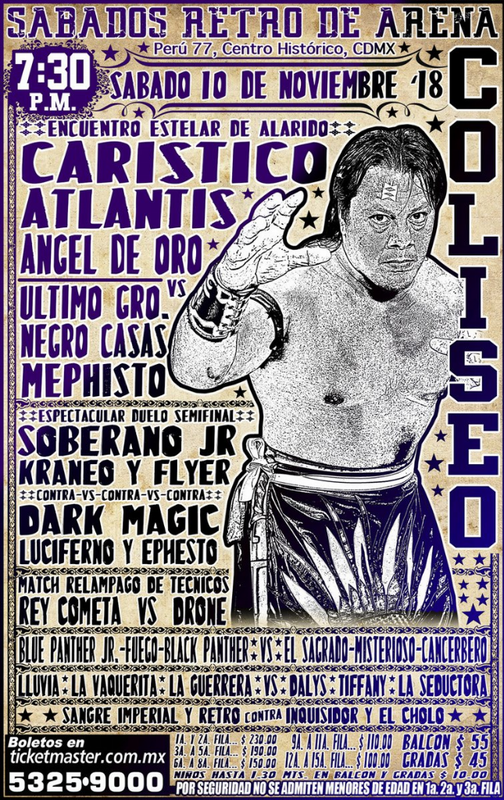 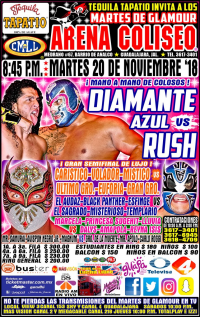 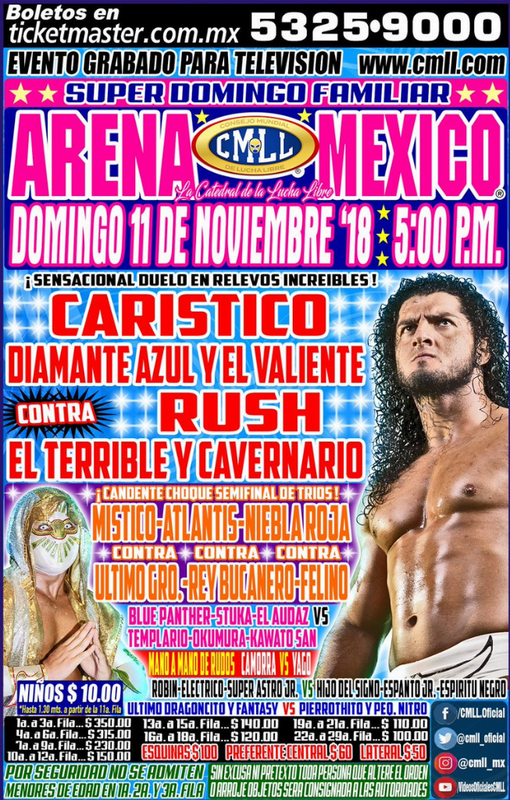 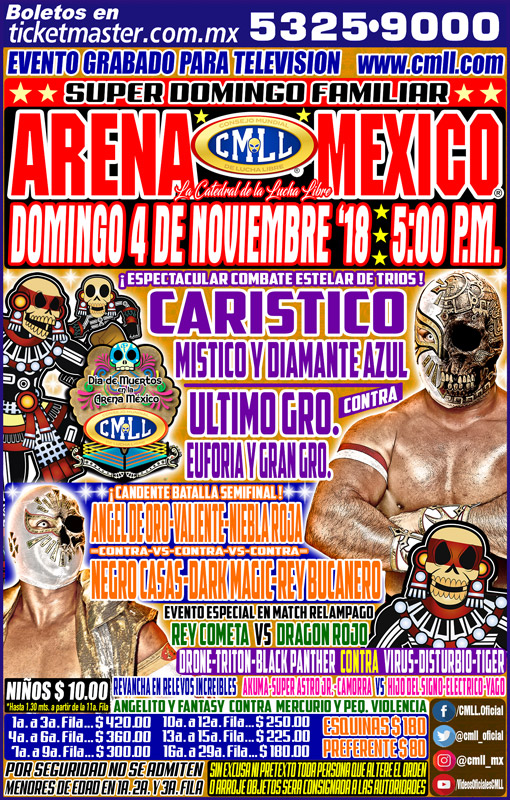 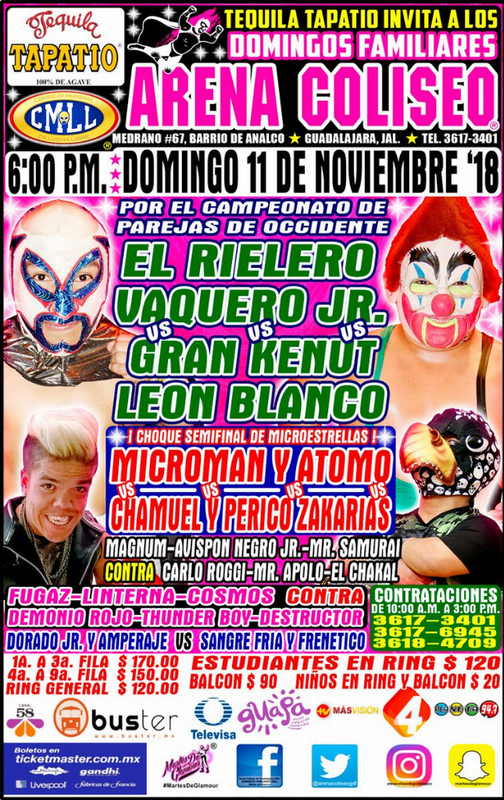 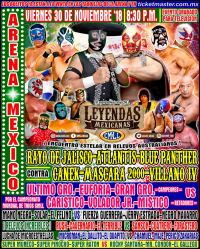 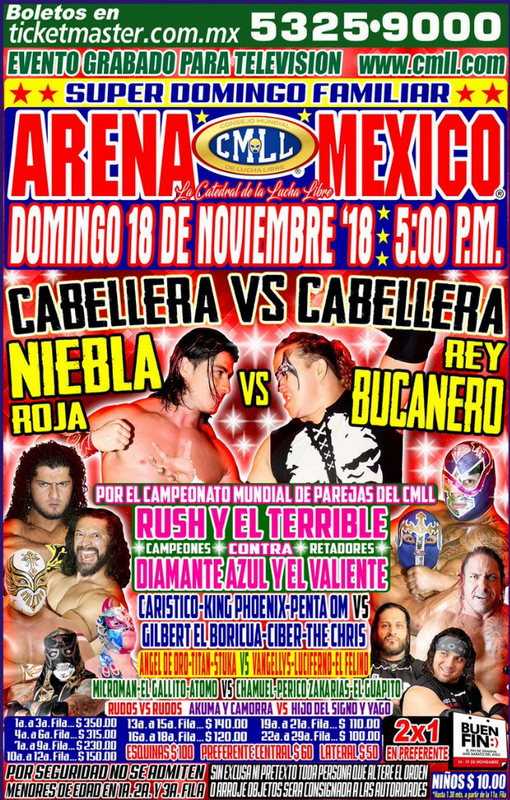 Rush unmasked Diamante Azul to set up a singles match next week. 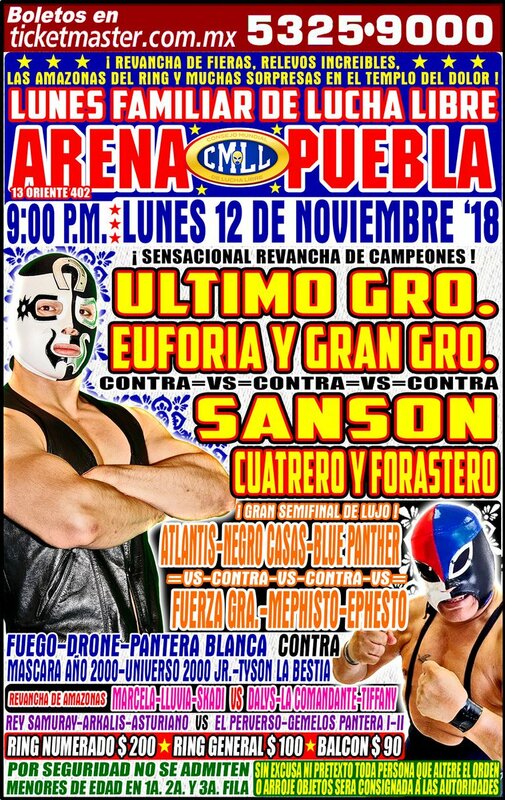 First defense (won the title back in February). 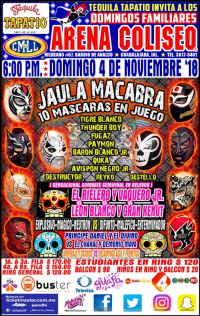 Thunder Boy took 1/2 to retain. 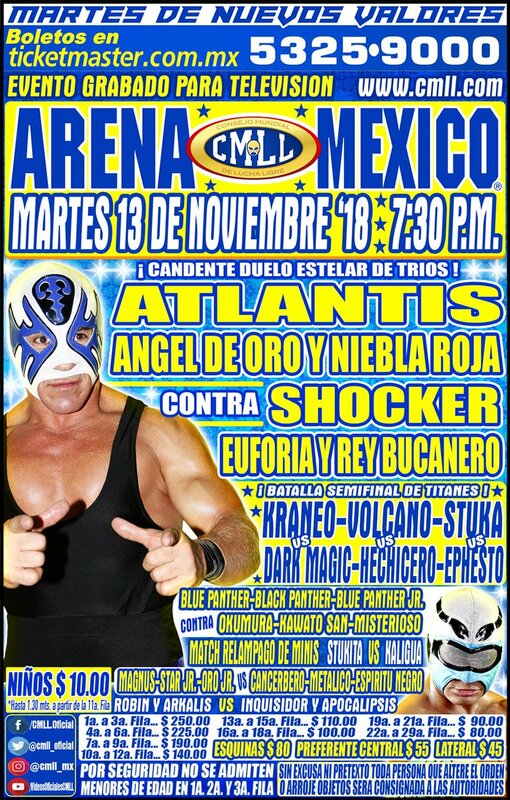 Fugaz was strechered out. 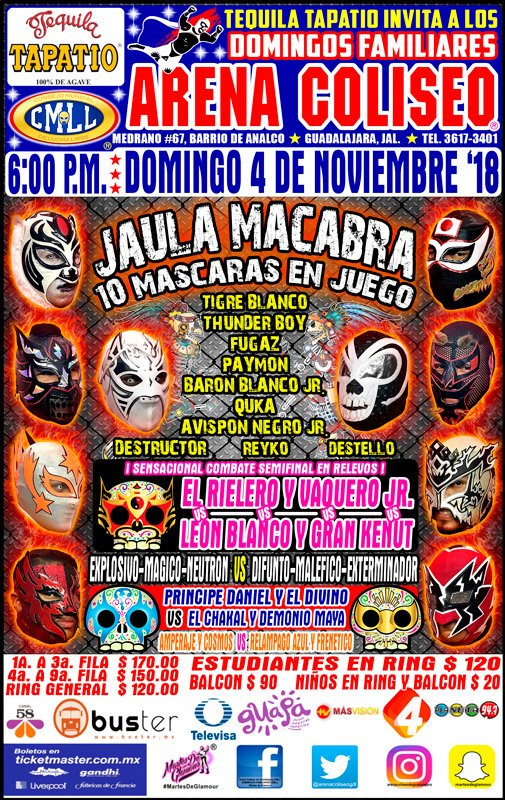 4) Joker, Mágico, Neutrón b Frezzer, Príncipe Kisho, Terremoto King Jr.
1) Gran Kenut, León Blanco, Maléfico b Magnum, Principe Daniel, Vaquero Jr.
2) Disturbio, Espanto Jr., Guerrero de la Muerte b Astral, Explosivo, Oro Jr.